Kayaking is fun, and it is one of the most incredible sports that will allow you to dance with nature. The waves, wind, sunset and on occasion raindrops are the parts that make kayaking amazing. If you are planning on kayaking for a long period, you should consider the climate change issue seriously. Climate is uncertain. You never know what you will get in the next moment. That’s why you should be prepared for everything. If you stay wet for long in cold weather condition, you can experience hypothermia. In bright, hot condition sunburn and sunstroke can happen. If you want to avoid such issues, a wetsuit is an ideal solution. It will protect you from those elements while kayaking. A good quality wet suit guards the individual against the sun, cold and rain also keep him comfortable for long. But purchasing a wet suit for the first time is a little confusing. Wondering why? Well, it is because the market is full of different options. Finding the best wetsuit for kayaking as I said is not an easy task. It is because the market is full of different options. That’s why it is a little confusing. A lot of possibilities can mislead you easily. Besides, there are lots of craps available in the market that is not worth buying. The Synergy Triathlon Wetsuit is the first entry on our list. It is a full sleeve suit designed for men. It is made from Yamamoto #39, and #40 with SCS silicone coated SyPrene. The core buoyancy panel is 5mm thick with 3mm lower legs and back. The arms and shoulders are 2mm thick. The thickness is just perfect for any weather condition. It will surely keep you warm for a long time. The wetsuit is just perfect for kayaking as it offers fantastic flexibility and the full range of motion. The internal zipper of the wetsuit is made of highest grade anti corrode from YKK that supports perfectly during a move through the water. The low neck is super soft on both sides. So, you will feel noting around your neck. It is ideal for the triathlon, kayaking and many other outdoor events. The suit is not recommended for cold waters. It floats higher and also moves faster while saving your energy. The price is good for the quality. Give it a try. The O’Neill Men’s Wetsuit is another perfect addition in this list for kayaking and paddle boarding. It comes with a back-zip system that makes it easier to wear and remove. The zipper is designed with a water-tight seal. It is crafted from ultra-stretch neoprene that makes it soft and smooth. You will feel great while wearing the suit. The wetsuit is flexible and ensures athletic performance. Full freedom of movement is guaranteed. You can move your body faster and perfect. Besides, it will adequately keep you dry for long. 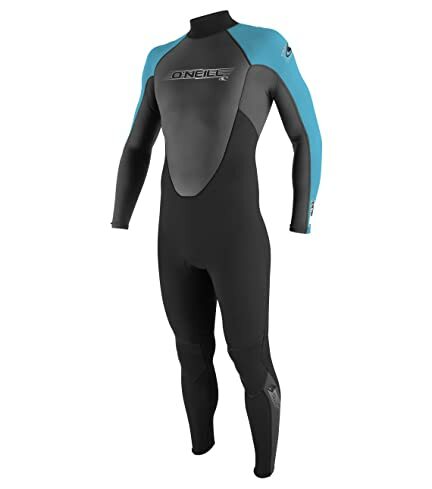 The wetsuit also comes with firewall panels of O’Neill FluidFlex material. The seam is made of bind-stitching and triple gluing process that will keep water out and boost the durability. In a whole, this is an excellent wetsuit for excellent kayaking experience. Need a wetsuit that looks awesome and works like a champion? 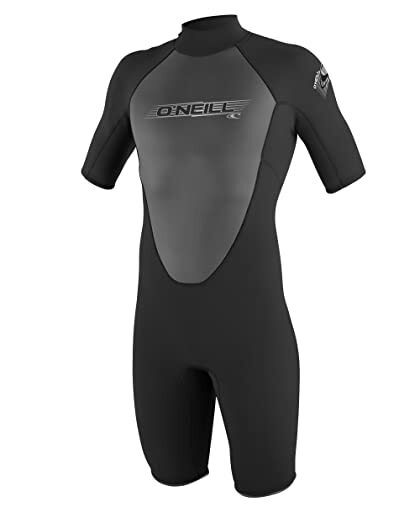 Consider the O’Neil Men’s Reactor 3/2mm Black Zip Full Wetsuit which is considered as one of the best of this time. It is designed to provide the free and easy movement with 3/2mm thickness. The wetsuit features seamless under-sleeve paddle zones that ensure smooth movement while minimizing chaffing in times of paddling. You will also get adjustable neck closure that is made from non-irritating materials. The chest and back areas are made from smooth skin fluid foam that offers extra comfort. In the wetsuit, you will also find Krypto Knee Padz that withstands wear and tear. The suit will last longer, and it doesn’t need much maintenance. Also, there is a hidden key pocket included on the wetsuit that is pretty convenient. The wetsuit is perfect in every possible way. I can assure you will fall in love with it. 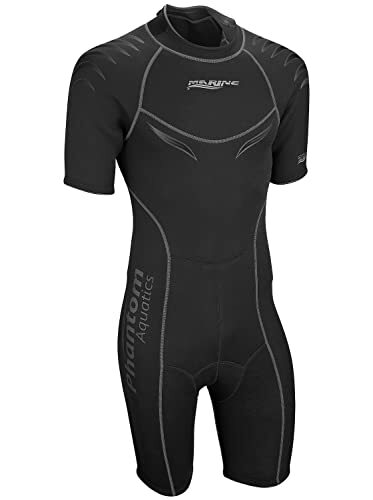 The Phantom Aquatics Men’s Marine Shorty Wetsuit is another exceptionally well-made wetsuit for kayaking. Though the title said it is for men’s, but the cut makes it ideal for ladies too. It is 2.5mm thick, and the fabric is stretchy. So, you will get free of movement. The flatlock seams will provide you the comfort you desire. There is a high friction seat on the rear that reduces slipping while seated on a wet surface. The shoulder provides extra abrasion protection with reinforced shoulders. You will also see neck tab closure with micro-teeth Velcro fastener that makes the neck closure comfortable and also reduces water flushing. Overall, it is an excellent product for the price. I am sure you will love to have it on your next adventure. 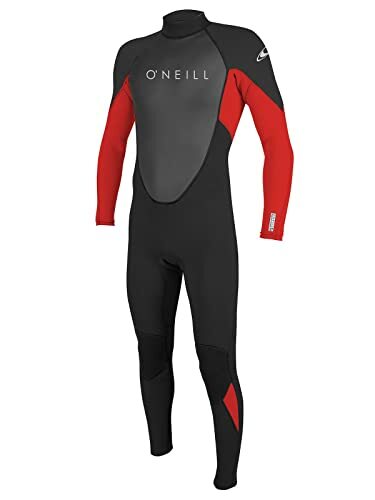 The O’Neil Men’s Reactor 2mm Back Zip Spring Wetsuit is another exciting option for the price. 2mm thickness of this wetsuit will keep you warm in cold water days. The design of the wetsuit is smart with Shorty Cut that will give you the maximum freedom of movement. The Back Zip Entry makes it more convenient. You can quickly wear it and remove it within a moment. The wetsuit is light yet thick to protect you from the wind and the Sun. FluidFlex and extra stretchy neoprene made sleeves makes it exceptionally soft and comfortable. It has a single super seal neck included. The outside right collar panel is made of polyester, and other panels are made of nylon materials. The wetsuit is excellent in spring, but it is not recommended to use in icy water. The price is fair enough. Give it a try I am sure you will love it. The O’Neil Youth Reactor 3/2mm Full Wetsuit is here to make your kayaking journey pleasant. It is the epitome of the quality wetsuit. It is designed to last with excellent craftsmanship and quality material construction. The wetsuit will keep you warm and dry for long. The top sleeve and under sleeve is made of FluidFlex where the chest and back are made of mesh Smoothskin fluid foam. So, ultimate comfort and full freedom of movement are guaranteed. It also offers a fully adjustable seal single collar, back zip system, and hidden key pocket. The strategic seamless paddle zone is convenient as well. Overall, it is an excellent quality wetsuit ideal for kayaking. The price is not prohibitive. Seavenger Odyssey 3mm Neoprene Wetsuit is another premium quality option for kayaking. 3mm neoprene material is ideal for 65 degrees Fahrenheit temperature and up. It is durable and flexible. 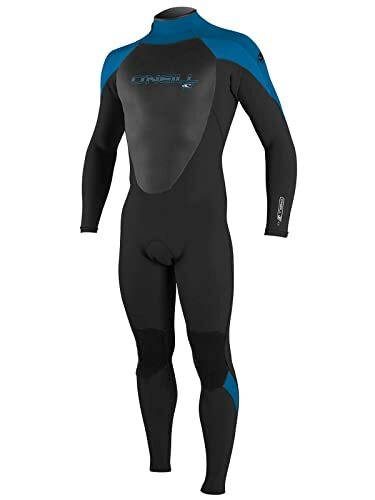 The wetsuit features comfortable flat-lock stitching and anti-abrasion shoulder and knee pads. So, ultimate comfort and amazing knee protection are guaranteed. The wetsuit is comfortable to wear and remove with YKK extra long leash. The suit fits tightly to the body. There is some controversy about the sizing. So, it is recommended to consider the sizing issue seriously. It is ideal for triathlon use due to super-stretch panels in the knee and armpit. The price is perfect for such quality. Quality talks and this Seavenger Navigator 3mm Shorty is the epitome of excellent quality. It is designed to last and serve the users several years without any issue. For kayaking, you will never get anything better than this, especially in this price range. It is crafted with premium quality materials that enhance its durability. As it is made of Nylon II neoprene material, so it will fit your body like the second skin. You will never face any discomfort or suffocation. You will also get flat-lock stitching that prevents irritation. The extra long leash and a #10 YKK zipper ensure comfort and convenience. The shoulder pad is also classy and anti-abrasion. It can withstand wear from straps and other equipment. Also, it is reasonably priced. The product is fantastic in every possible way. Give it a try and enjoy your next kayak adventure fully. The O’Neill Youth Reactor 2mm Back Zip Spring Wetsuit surely will make your kayaking experience pleasant with its exceptional performance. In Wetsuit industry, O’Neill is one of the most trusted names. They have been providing quality products since their beginning. This O’Neill Youth Reactor is another class produced by this company. The quality material makes it one of the most loved products for the kids and younger folks. It is made of high quality a material which is why it provides the ultimate comfort one always desired off. The Top sleeve and under the sleeve of the wetsuit is made of FluidFlex materials while the chest and back are made of mesh smooth skin fluid foam. You will also get Krypto knee Padz that will protect your knees perfectly. The YKK back Zip system makes it convenient and easier to put on and off. Smoothskin fluid foam neck is also pretty comfortable. On top of everything, you will even get a hidden pocket to keep essential things secured. Overall, it is an excellent product at this price. 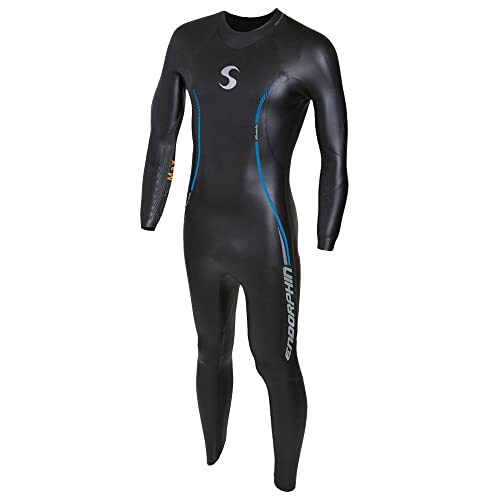 The LemorecnMens Wetsuit is the last entry on our best wetsuit for kayaking article. It is a multi-sport wetsuit ideal for all water sports such as diving, scuba, paddle boarding, surfing, and even kayaking. The spot taped at stress points along with flatlock seams makes the surface of the interior and exterior more smooth and durable. It will surely last several years, and you cannot complain a bit anything about comfort. Yes, it is way too much comfortable than you can imagine. The wetsuit is constructed with premium neoprene that is the secret of its incredible comfort and athletic fit. It provides excellent warmth without sacrificing flexibility. However, the heavy-duty YKK back zipper is also convenient and makes it easier to wear and remove. The price of the product is not very high. The fit is excellent as well. I am sure you will love to have it. But hurry up as the stock is limited. Well, wetsuits difference from each other concerning styles and thickness. Each of those is different and designed for specific tasks and conditions. For kayaking, you have to select a wetsuit that ensures maximum movement in the upper body. Otherwise, paddling will be severe. While making a list, we carefully consider this fact which is why all of the above products are ideal for kayaking. While shopping for kayaking wetsuit always consider the water where you want to paddle. The temperature and condition is a serious issue. If the environment is cold, full and thick wetsuit would be a definite choice. If the weather is warm, short and slim wetsuit will work. Also, purchase a wetsuit that fits. Right thickness and style will be superfluous if the fitting is not perfect. Try your suit at home before taking it to water. It will help you to determine the flaws. If the suit doesn’t fit you will, you can then replace it too. That’s all with the best wetsuit for kayaking article. I hope you enjoyed our reviews and selected one from the above list.